The Antonine period and the Antonine period in Egypt in particular have become central to current studies of the Roman economy. There is the debate between Wilson and Scheidel about whether per capita Roman economic growth continued throughout the first two centuries AD or stagnated already from the Augustan period. There is also Rathbone’s study of Egyptian prices, the only useable series from anywhere in the Empire, which sees the doubling between AD 160 and 190 as the only significant change between AD 45 and AD 274/5. This picture underpins an important paper by Temin on the causes of inflation in the Roman World in general. 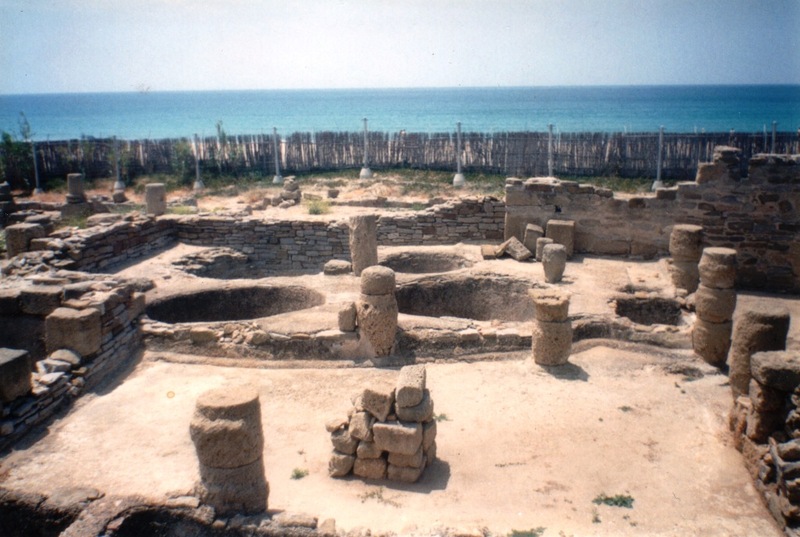 The Roman empire saw extensive export of salted fish, and the sauces derived from them  garum, liquamen, muria and allec - were used widely in cooking, acting as a flavour enhancer. Several amphora types used for salted fish or for derivative sauces have been identified, especially from Spain and Morocco, and are widely distributed. However, a relative lack of work on amphorae carrying fish products made elsewhere in the Roman world hampers attempts to track the development of trade in salted fish in any quantitative manner. In addition, some regions which produced salted fish seem to have exported it in barrels, which are much less archaeologically durable. The water-mill is one of the earliest examples of human efforts to harness natural forces to do mechanical work, and stands as the ancestor of a long line of machines. Water-milling greatly increased per capita productivity in the time-consuming and widely needed grinding of grain into flour, and enabled greater specialisation in labour, with the water-miller (molendinarius) emerging as a separate figure from the miller-baker (pistor) of the earlier Roman period. The spread and uptake of the water-mill is therefore important to questions of economic development and the relationship of capital investment in technology to economic growth (Wilson 2002). As we know, the papyri of Egypt offer the historian of the ancient economy valuable evidence for a wide range of issues. One such central issue is transport, and it is problematic – Peter Brunt described it as’ the greatest failure of ancient technology’. The primitivist approach to the economy, advocated most vigorously by Finley, Jones, Duncan-Jones and others, holds that trade and transport was held back by two main factors: firstly, a lack of incentive to trade due to regions having the same needs and surpluses, and secondly, the high cost of transport – especially by land. Using the evidence of Roman agronomists and the costs of transport established by Diocletian’s Edict of Maximal Prices, Jones stated that it was ‘cheaper to ship grain from one end of the Mediterranean to the other than to cart it 75 miles’. The cost of transporting a mill 25 miles was 11% of its value, rising to 39% for 75 miles (Cato, Agr. 22. 3). Pliny’s well-known letter (Ep. 10. 41) on transport in Nicomedia makes the higher cost of land transport over water seem clear. Any attempt to challenge these ideas was met with force: in Brunt’s review, he criticizes Alison Burford’s paper on the transport of bulky goods, saying: ‘she merely showed what governments could do, regardless of cost, for defence, prestige or piety; it was no more possible for private entrepreneurs to emulate them than for IBM to put men on the moon’.